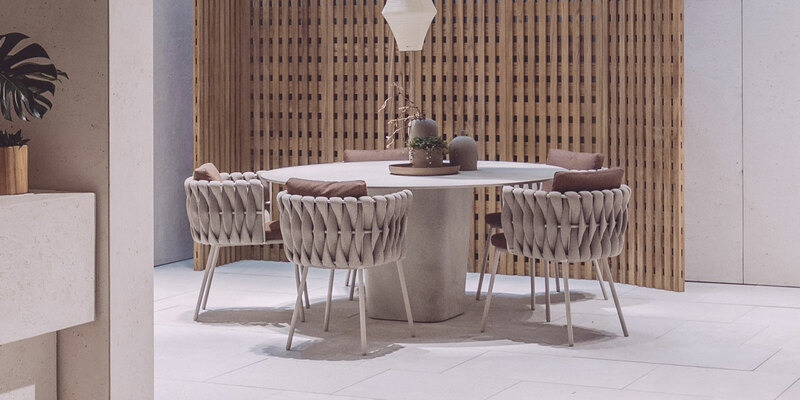 A comprehensive table program with a vast selection of in-stock components, JANUScafé allows clients to create their own customized dining tables. Designers and specifiers can choose from a variety of base styles, column heights, top shapes and sizes as well as multiple materials and finishes to create the perfect combination for any space. 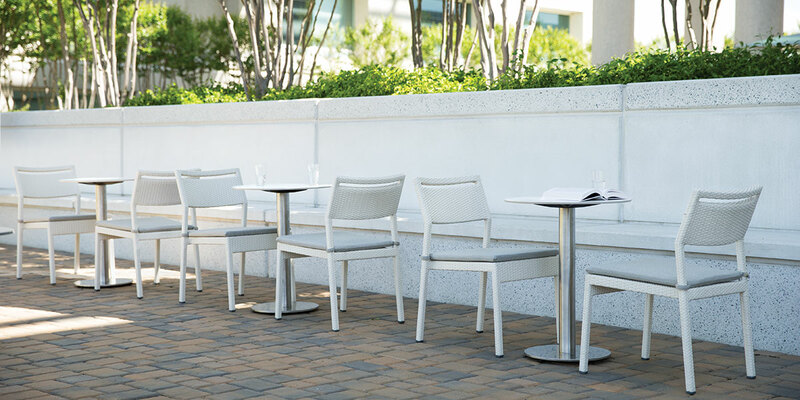 Unique and highly eclectic, this selection of café tables is designed to provide an extensive array of options to pair expertly with JANUS et Cie’s sophisticated seating. 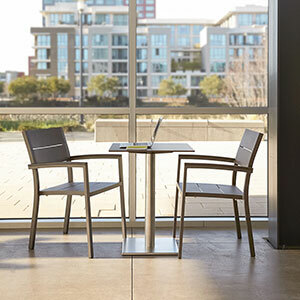 From cafés and employee dining areas to public parks and shopping centers, each table in the collection is precisely engineered and skillfully finished to endure even the most varied environments. The program celebrates diversity of form, material, color, and application to create configurations that are highly functional and impressively durable. 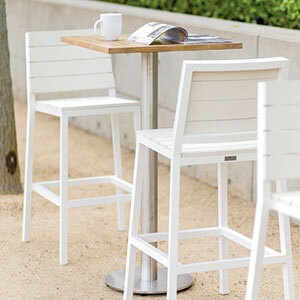 The collection is comprised of bases in dining, bar or counter heights, and in round, square or rectangular shapes. 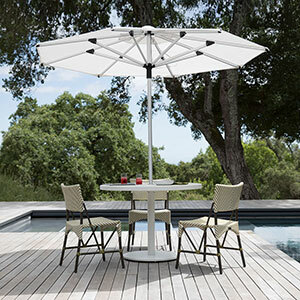 An optional umbrella hole is available by special order, and all styles are suitable for exterior use. The tops also come in a variety of sizes in round, square and rectangular shapes, and are available in assorted finishes and materials.